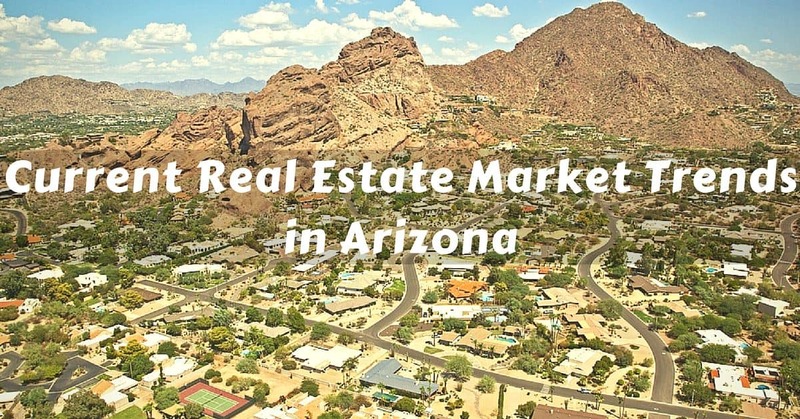 Good news for the Arizona real estate market. Recent trends suggest the dramatic crash that is all too familiar for many Phoenicians seems to be behind us. Although Tom Ruff, top Arizona Housing Analyst for Information Market (owned by Arizona Regional Multiple Listing Service, or ARMLS) called 2015 only an “average” year; he predicts 2016 will be the best year for real estate in almost a decade, toting it a “breakout year” in the valley. Last year, the market saw a 9% increase in home prices. For the remainder of 2016, an increase of up to 12% is expected. There are multiple factors at play that are working in conjunction to heal the market and make 2016 a great year. Read more to find out the who, what and where of the current real estate climate. Who? Millennials, Boomers and Boomerangs. According to the United States Department of Labor, Arizona unemployment rates are currently at 5.4%. This rate is less than half the astronomical 11.2% unemployment in 2009. Good new for Arizona real estate because when people are able to work, they’re able to buy homes. Older Millennials, now in their late 20’s, who moved back in with their parents due to crippling student loan debt and the inability to find a job are excitedly (and finally) purchasing their own homes. Their parents, the Baby Boomers are also in the market – many looking to downsize as their children (finally) leave the home. The real estate term “boomerangs” refers to homebuyers who were burned in the housing bubble, often those who were forced to foreclose on one or multiple homes. These buyers have healed from their wounds, rebuilt their credit and are reentering the real estate market. The strongest and most steady demand is for homes under $400,000. In 2015, homes priced between $225,000 to $275,000 saw the healthiest increase compared to any other price range, at an impressive 30%. Homes in the $350,000 to $400,000 range were also up by 23%. This trend is expected to continue throughout the remainder of 2016. In terms of volume of homes sold, the rate is also increasing. Overall, resale homes were up 8.7% in the first quarter of 2016, when compared to the same time period in 2015. Unfortunately, the luxury market just hasn’t seen the same growth. Combine Baby Boomers downsizing and Millennials purchasing homes for the first time, along with the increased difficulty of qualifying for a loan, and a turbulent stock market and suddenly, it’s easy to see why. In fact, homes over 1 million are down 12% from last year and are expected to drop even further in 2016. Both Millennials and Boomers are opting for location over luxury. Walkability is a buzzword right now in Phoenix real estate. Phoenicians are opting for homes or condos where they can easily grab a quick coffee on a Saturday morning, ride their bike to happy hour and walk to their trendy co-working space. Uptown and Central Phoenix saw huge increases in both their homes sales and its no surprise. Perhaps due to new shops and restaurants and easy access to work and sporting events by light rail, Phoenix saw 19,000 home sales last year. That’s more than double the 8,300 homes sold in Mesa last year. In 2014, the coveted 85012 area code saw a 17% increase in home prices, which was more than three times the median increase for the valley in the same period. In addition to these external factors contributing to property value increase, home improvement also helps. As summer approaches and we await that bright desert sun, consider getting sun shades and patio shades for your property. These bring many benefits to your family’s health and comfort, as well as energy savings and increased value for your Phoenix property. Interested in increasing your property value? Contact us at CC Sunscreens for a consultation.